When most Parrotheads picture a tropical paradise where they can dig their feet into the warm sand and watch the surf crash onto the beach all day long, they probably see pineapples there too. These spiky fruits have become synonymous with tropical destinations and tasty food from Hawaii to South America. Whether you enjoy a tasty cocktail served in a hollow pineapple or a few wedges of the fruit in your frozen Mai Tai, learn more about why this yellow fruit is a fan favorite and how you can make drinks with it at home. Pineapples only grow in or around the tropics - a truly tropical fruit. They originated in a South American region that is now Paraguay and Brazil, but people ended up moving them all over the world. Originally, natives brought pineapples throughout the Americas. Once Columbus arrived, he found the fruit too and brought it back to Spain, where it eventually spread through Europe. 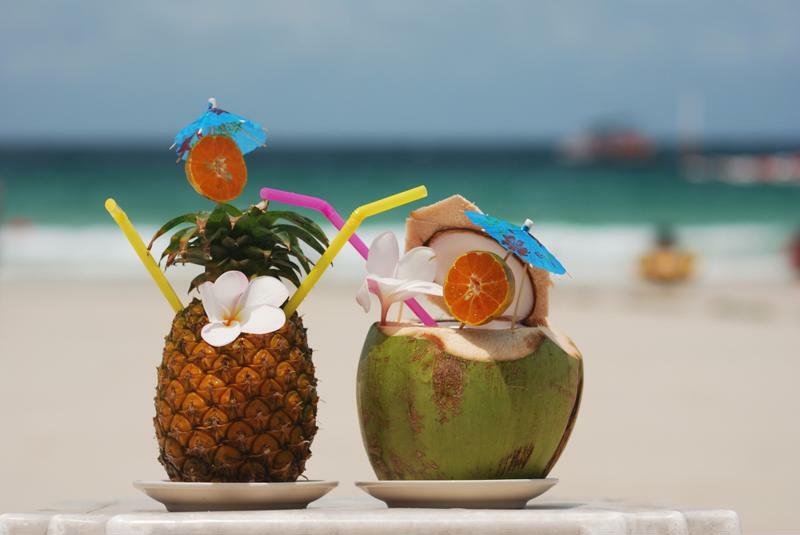 Soon sailors carried the fruit on boats and brought it to many other places such as Hawaii and the South Pacific. Combine the tequila, lime juice, pineapple juice and triple sec in your margarita maker's blender jar. Fill your ice reservoir, turn your machine on and let it do all the work. You'll end up with a perfectly mixed pineapple concoction. Pour into a margarita glass with plenty of pineapple chunks for a tasty tropical cocktail. Pineapples make great cocktail flavors and containers. This classic island drink is a vacation standard. 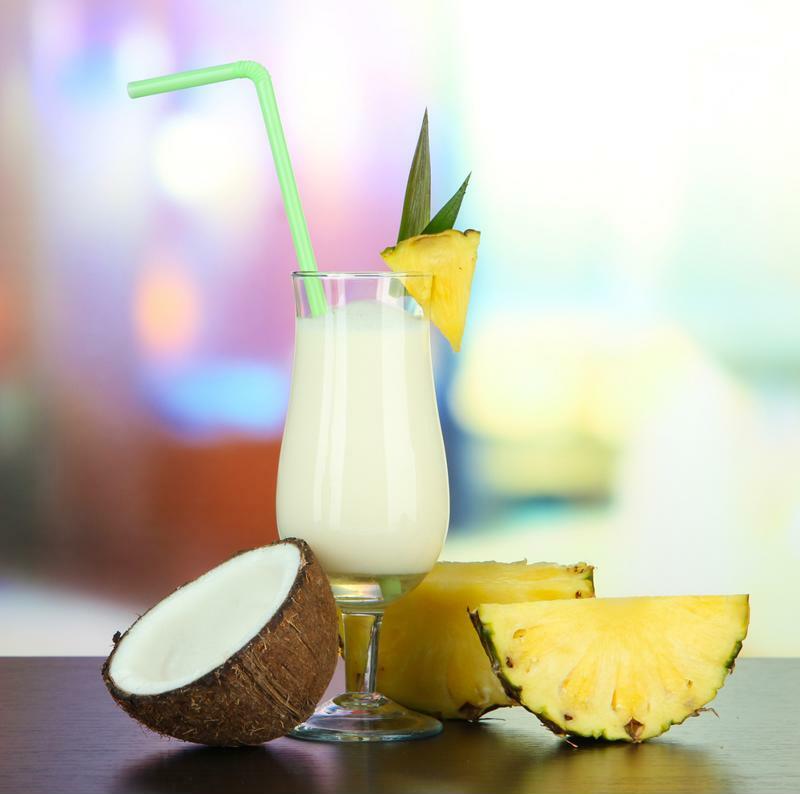 Make your own version of the Piña Colada by adding even more pineapple flavor with this recipe. Pour your rum, juice, cream and milk into your party machine's blender jar then add crushed pineapple to taste. The more you add the more pulpy and pineapple-flavored your cocktail will be. Fill up the ice hopper, turn the machine one and serve with pine garnish and a paper umbrella. Overload your Piña Colada with pineapple flavors. Ensure your ice container is full then blend this unique cocktail and serve in martini glasses. Rim your glass with sugar and garnish with a pineapple wedge.